Today a package arrived that we had been waiting eagerly for. In it was an aid to the next step in the little guy’s development: a spoon. “A spoon?” You say? Yep. For the most part the little guy has been happy to use his hands when eating, but we have found that if we give him a spoon, he wants to eat with it. Of course the problem is that it is a bit awkward for toddlers to hold a traditional spoon because they curl their wrist so their thumb is pointing to themselves. 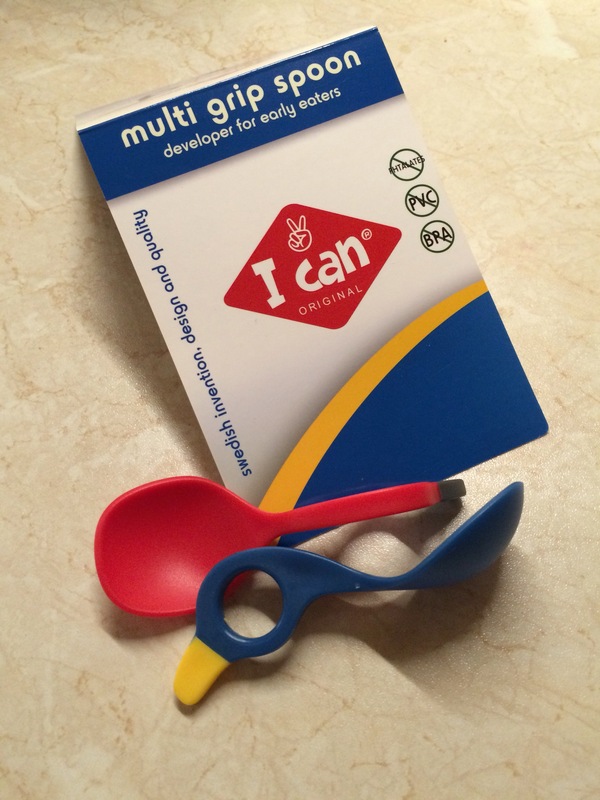 Enter the “I Can” spoon. My wife read about these spoons online somewhere – maybe a Swedish parenting blog or something. They are not available in the USA yet, but I have a feeling that just like the Baby Björn carrier and the Näsfrida, this will make it into the market there too. So, tonight we ate Salmon and “mathavre” (food oats, they are prepared as if oats were related to rice), and the little guy tried out his new spoon. How did it go? He loved this thing! It was crazy how after we showed him how to use it, he picked it up pretty quickly. Of course there is still a long way to go before 60% of the food doesn’t hit the floor before getting to him, and he has to learn to load it himself, but this just added a new and interesting element to eating that I think will make it a lot more interesting to him going forward. I’m very excited about this new spoon!